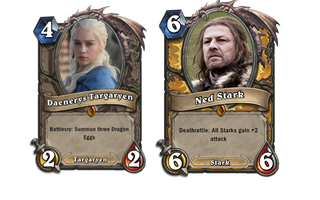 These Hearthstone cards created by randomnate might not be real, but that doesn't make them any less funny. Heck, with a bit of fine-tuning to make them more balanced, they could actually work inside the game, too. There are more characters than these—you can view the rest here. Or, if Magic: The Gathering is more your sort of thing, then you should definitely check these out.